Lots of couples like to have matching wedding rings but this couple wanted to go one step further. 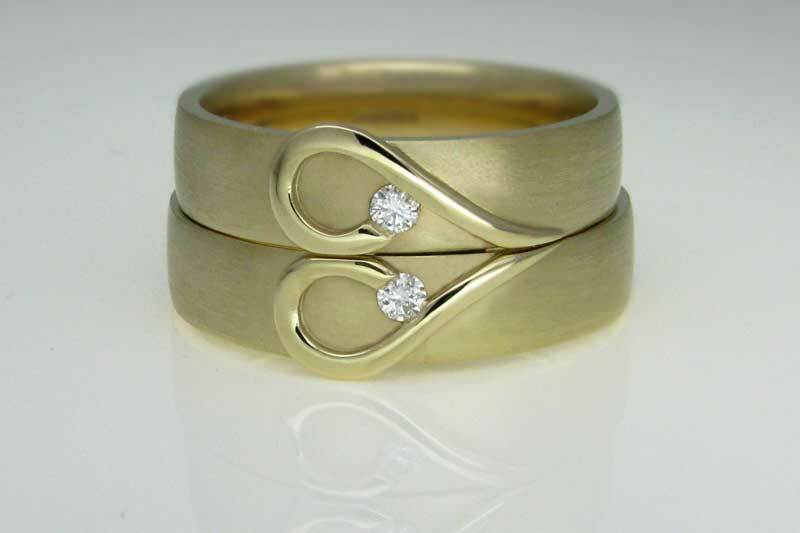 On their own these wedding rings have an attractive design but together they take on a completely new meaning. This can also be achieved by re melting old gold to an add extra personal twist. Two wedding rings together make the perfect couple. For more information on handmade, bespoke jewellery or re melting your old sentimental gold into something special for your big day visit Ian Mortimore at The Buxton Dome Wedding Show on the 22nd February 2015 or call Ian on 01629 636826, visit imjewellery.com or find him on Facebook at IM Jewellery.